A pair of pears pour mon père... blessings to all, whether here or the hereafter. Thanksgiving is around the corner here in Canada. May we begin to focus on giving thanks. Yummy!! 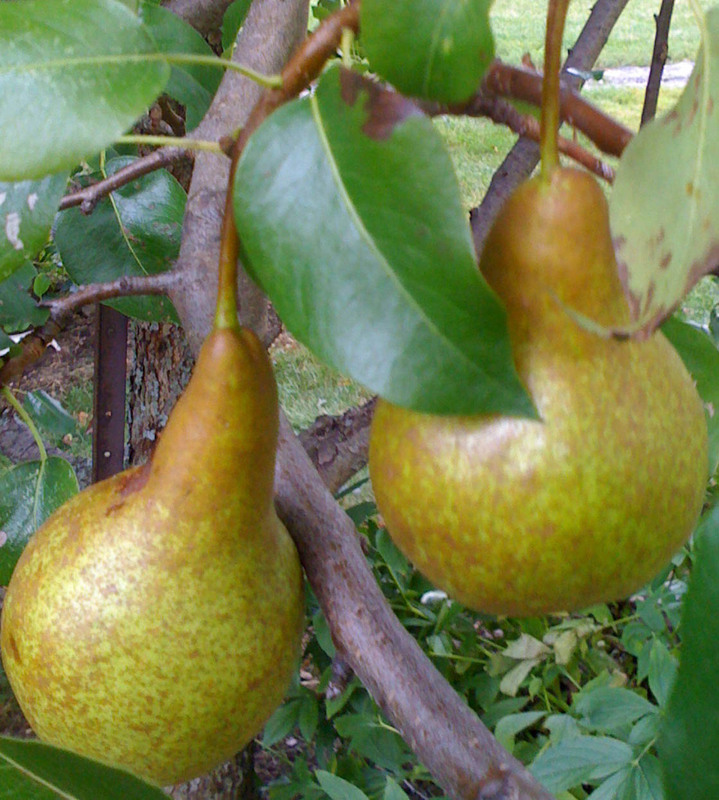 I have a pear tree and an apple tree in my back yard right outside my bedroom window. Every morning I pull up the blind and see bountiful fruit before my eyes ~ one of nature's many gifts.